The “operations” function of any organization does what the organization is “in business” to do. If the organization is a manufacturing company, then it’s operations that manufactures the products. If the organization is a service provider, then operations provides the services. Operations “management” involves managing operations. The program of study for a Ph.D. in Operations Management is designed to achieve two goals: First, to help each student develop her/himself into a first-class researcher; second, to help each student develop her/his skills in teaching operations management. Applicants should have a solid background in engineering, applied mathematics, and/or operations research. Work experience in operations management is very desirable. A strong work ethic is essential. More detailed information can be found at the Ph.D. Program in Supply Chain and Operations Management Web page. Additional information can be found at the Krannert Ph.D. Programs Web page. The Operations Management Option (major) in the Krannert MBA Program is designed to prepare Masters students to be leaders in their operations management careers. In recognition of this, US News and World Report and Business Week consistently rank the Krannert’s Production/Operations Program in the “Top 5”. 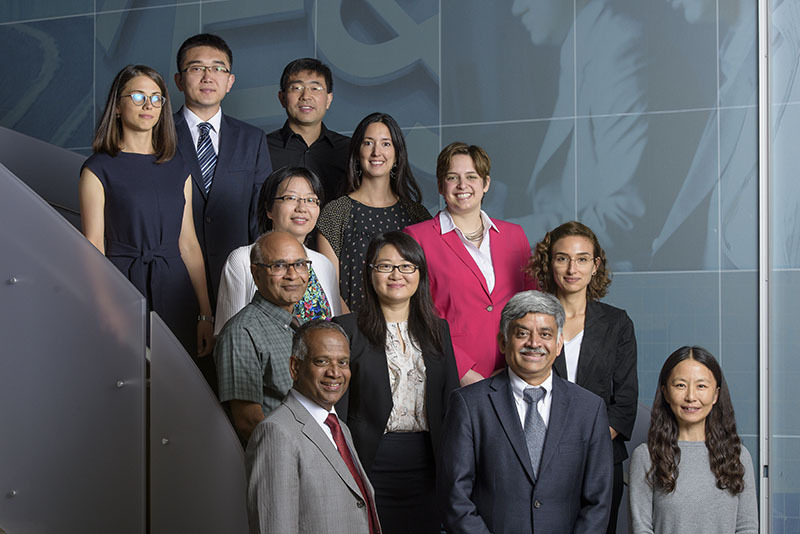 The Krannert “ OM ” faculty have unique strengths in supply-chain, logistics, and e-commerce operations management, but every important topic in supply chain and operations management is covered in our state-of-the-art courses. The Krannert Graduate School of Management Operations Club helps students gain the industry exposure needed to be effective managers in the workplace. We do this by providing guest speakers, kaizen events, plant tours, case competitions, workshops, meetings with alumni, and numerous leadership opportunities. We also serve as the student chapter of the American Production and Inventory Control Society (APICS) for Purdue University. The Wall Street Journal ranked our option #3 in 2007 and 2006. US News and World Report ranked our option #5 in 2010, #6 in 2009, and #3 in 2008 and 2007. In 2006, US News and World Report ranked our option #2. The Wall Street Journal ranked Purdue University’s Krannert School of Management as a #1 MBA program in a special section in both 2005 and 2004. Krannert Supply Chain and Operations Management students enjoy an affiliation with the Global Supply Chain Management Initiative whose programs provide intellectual and financial resources to support Supply Chain and Operations Management.